Make way for a distinguished brand with unmatched qualities: LUXPaper! This premium imported brand is divided into four distinct collections: LUXColors, LUXBlack, LUXTextures and LUXGrocery Bag. 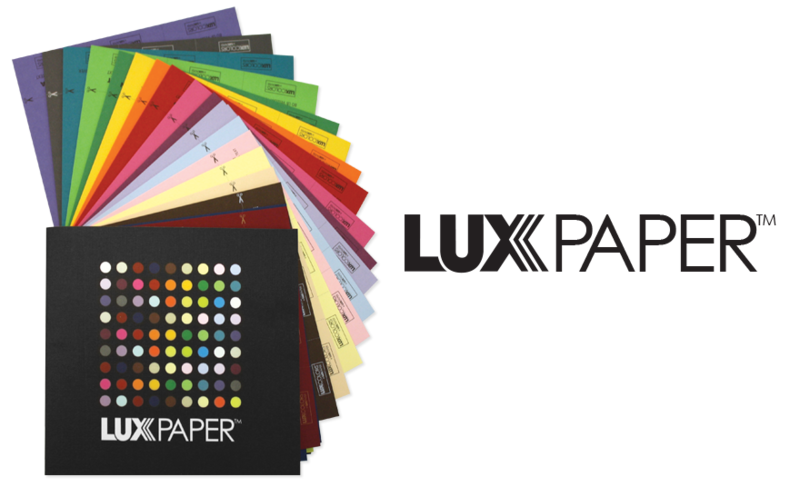 Most of the LUXPaper assortment is stocked in 80 lb text and 100 lb cover weights. 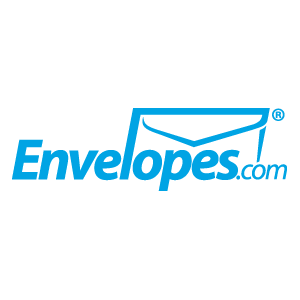 LUXPaper is readily available in various forms and sizes of paper, cardstock and envelopes, starting at low 50 quantity minimums! 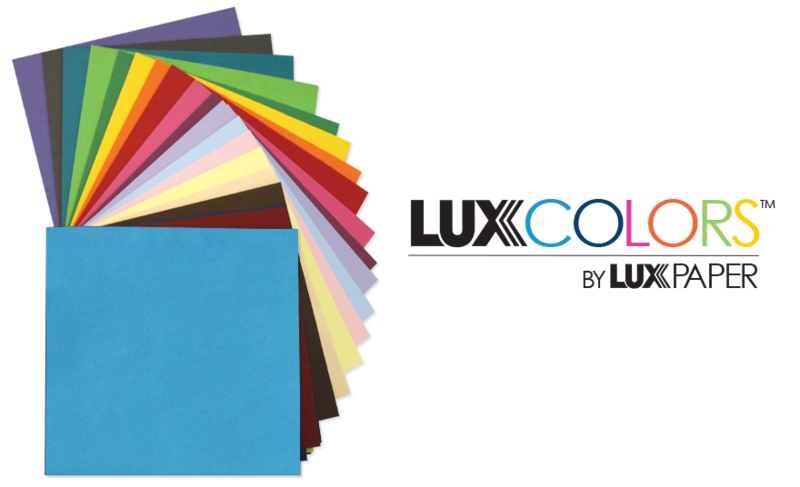 LUXColors emphasizes the exotic element of the brand through its more than 25 vibrant colors. Available as paper, cardstock and envelopes bold, LUXColors will amplify your project to perfection! 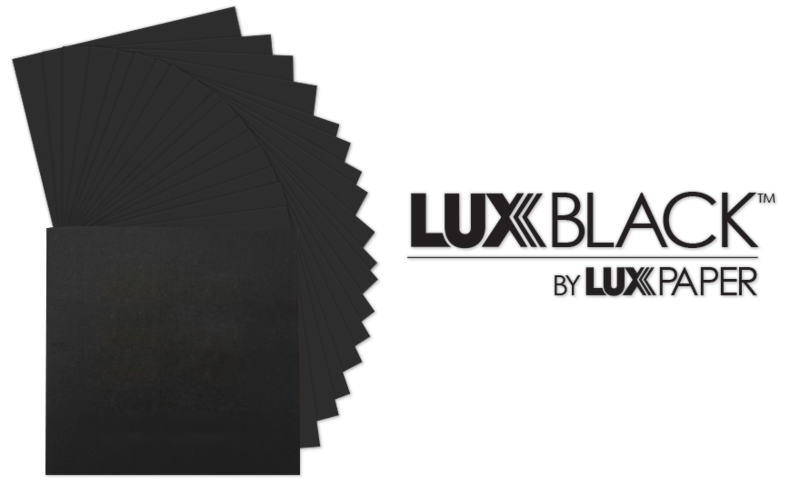 LUXBlack featuring Midnight Black is dedicated to capturing the VIP color in more than 100 different styles and sizes. Midnight Black is a striking choice for your announcements, projects and mailings! 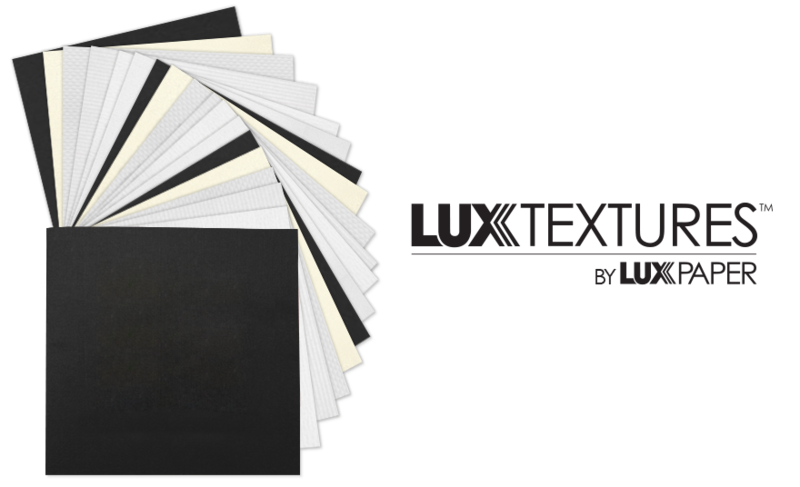 LUXTextures features classic textures that engage the senses of sight and touch. Use textured Linen, Canvas, Pique and Groove paper and envelopes to capture the attention you deserve! 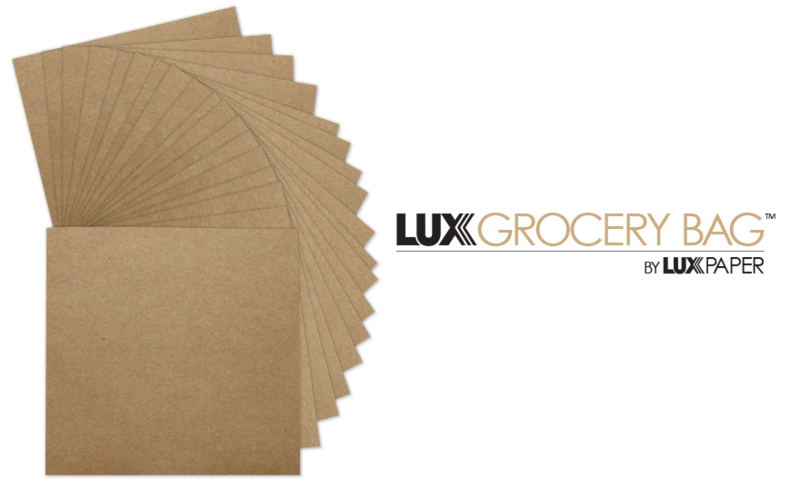 LUXGrocery Bag products are made with 100% recycled elements. 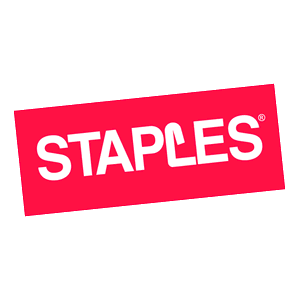 The familiar color and texture of Grocery Bag paper, cardstock and envelopes is an ideal choice to capture the much desired rustic and grassroots vibe. 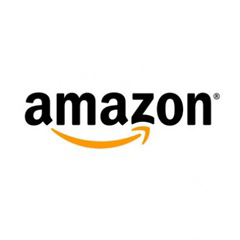 Form small quantities of our products visit the retailers below. 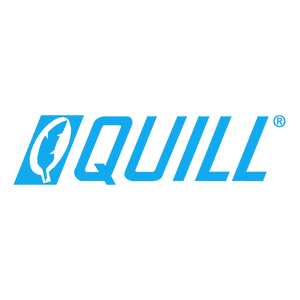 For large quantites please contact us. © 2014 LUX PAPER CO.